Our client and customer relationships are built on honesty and integrity. Whether you’re looking to buy or sell, we can help! Born and raised in South Texas, Johnny has been an avid hunter and outdoorsman in the South Texas brush country throughout his life and has worked as a ranch consultant since 1993. 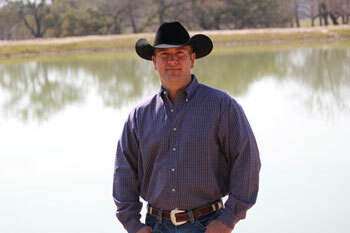 He has practiced real estate in Texas since 1997 and has been a licensed Real Estate Broker since 2004. Specializing in Farm and Ranch Real Estate since the beginning of his career, Johnny has gained extensive knowledge of ranch management and development, habitat, water, and wildlife. Johnny is known throughout the Farm and Ranch Real Estate Community as having extensive professional knowledge of contracts, negotiations and general real estate practices. Representing buyers and sellers in all parts of Texas, Johnny has sold thousands of acres throughout the state and year after year continues to be the one of the top producing Farm & Ranch Brokers in South Texas. Johnny is dedicated to supporting his customers and clients by continuing to offer assistance and guidance long after the transactions are completed. As a dedicated father, Johnny enjoys sharing his passion of hunting & fishing and the outdoors with his 3 daughters. 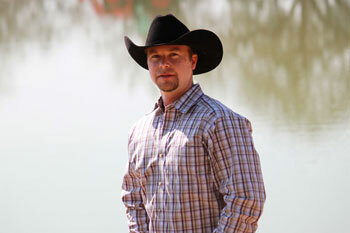 Brandon resides in Boerne, Texas with his Wife Dainelle and their 3 children, Cameron, Caden and Mia. Born and raised in Texas, Shawna received her B.A. from Angelo State University. 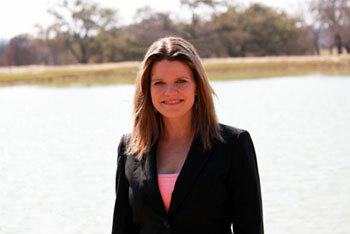 Raised living and loving the ranch life, Shawna’s grandfather and father were both ranchers. She had the pleasure of raising horses, sheep, goats and cattle as an everyday part of life. It was not unusual to have baby animals being bottle fed and living in the house for a short time. Living on a ranch outside of Uvalde, Texas, there was a great appreciation for the outdoors. Riding horses in the Nueces River and having the most spectacular mountain views was just part of everyday life on the ranch growing up with her sisters. Prior to joining the Texas Ranch Company, Shawna was a Business Director for a law firm in San Antonio for the last 10 years. Working as part of the Executive Management Team, her responsibilities included strategic planning, development and implementation of all of the Organization’s marketing strategies, new business development, and communications.